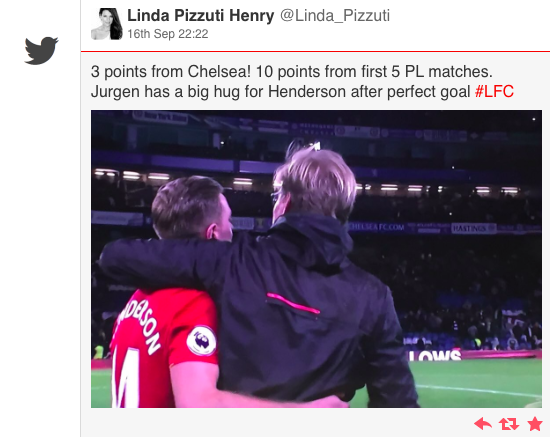 Bleachers Brew: Three points for Liverpool! Brilliant first half by Liverpool then a drop in form and intensity in the second half for Liverpool. But they still produced good enough to keep Chelsea on their heels. I thought that Reds captain Jordan Henderson hit was could be already a contender for one of the season's best goals. That put the Reds up, 2-0. So far, LFC manager Jurgen Klopp is 2-0 at Stamford Bridge. Beating the old master Jose Mourinho and now Antonio Conte.